The staff her is very helpful and professional compared to a lot of 5Star hotels nearby. 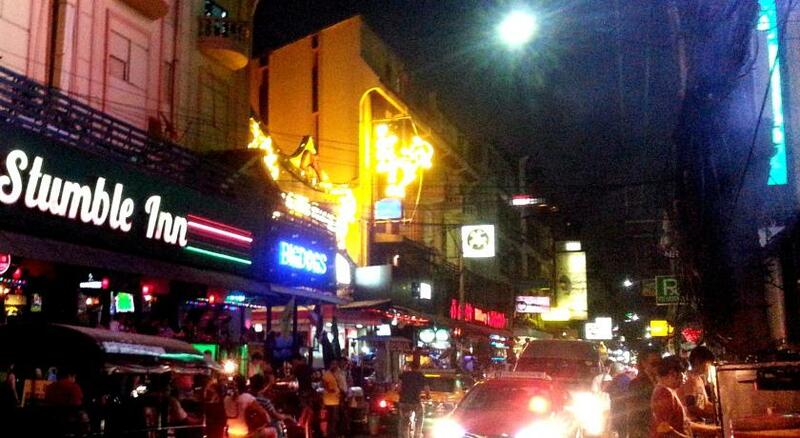 The location is prime on Sukhumvit road - night life is a plenty. Not too far from the airport. the room arrangement is good for me. I take the royal suite and everything was there. Cheers! The staff were very professional and friendly. They also changed iur room immediately and without any fuss - see my comment below. 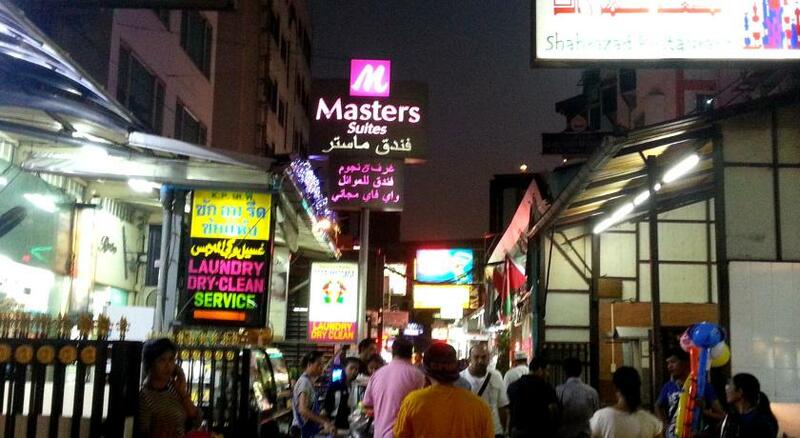 The location near many street food places . The room was visually clean and the bed very comfortable. Very friendly staff . Amazing location with well mannered staff and the cleanliness was fantastic. Grand President Bangkok This rating is a reflection of how the property compares to the industry standard when it comes to price, facilities and services available. It's based on a self-evaluation by the property. Use this rating to help choose your stay! A 5-minute walk from Nana BTS Station, Grand President offers well-furnished studios and suites in the lively area of Sukhumvit 11. Providing free parking, all 3 towers feature a rooftop pool and restaurant each. Free WiFi is available throughout. 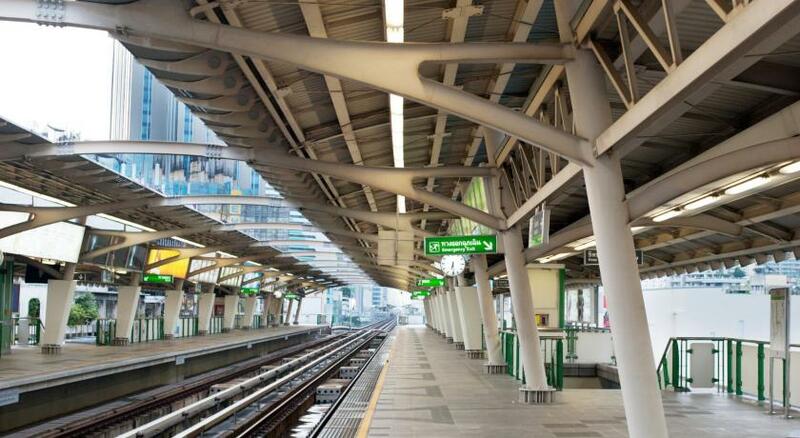 Located 0.6 mi from Sukhumvit Plaza and Times Square, Grand President Bangkok is a 10-minute walk from Sukhumvit MRT and Asok BTS Stations. It is an hour’s drive from Suvarnabhumi International Airport. Featuring marble flooring and modern décor, rooms at Bangkok Grand President come with a safe and cable TV with international channels. Private bathrooms have a hairdryer and a bath or shower. Selected room types also come with a kitchenette with a microwave, kitchenware and a sink. Guests can exercise at the fitness center or relax in the sauna. Grand President also has a 24-hour self-service laundromat, as well as a tour desk. Breakfast and an international a la carte dishes are served at Café 11 and Terrace 11. Alternatively, a 24-hour room service is also available. When would you like to stay at Grand President Bangkok? Features a separate living and dining area with views of the Sukhumvit skyline. *For booking made from 18 Mar 2019 until 31 May 2019, guests are eligible for a guaranteed late check-out until 14:00 hour. Spacious suite features a flat-screen TV, DVD player, stove and washing machine with dryer. This twin/double room has a mini-bar, air conditioning and microwave. Please note that this is a nonsmoking room type. This twin room features a DVD player, mini-bar and flat-screen TV. Strategically situated in Sukhumvit Soi 11, Grand President provides comfortable and spacious rooms in the heart of the city and is a perfect location for both business and leisure travelers. House Rules Grand President Bangkok takes special requests – add in the next step! Grand President Bangkok accepts these cards and reserves the right to temporarily hold an amount prior to arrival. Our room was above the bar and music could be heard till the early hours of the morning. Otherwise the hotel was good, clean and convenient. Main reception could be smarter. Sound proofing of rooms above the bar. Non existence of weight Machine for luggage. It meets all my requirements for the price that I pay. I’m a regular here and the staff have always seemed competent and friendly to me. Further, I always stay in the same part of the hotel and any issue I have with something in my room whether it’s a shower head with little water pressure or me wanting an extra towel, they’ll promptly sort it out for me. I've been staying at the Grand President Hotel for year but has declined over the last few, Hotel is out of date, Bugs in every room, Wifi works sometimes. the wave of new customers NOT going to say ethnicity use the property as their garbage can. A little bit effort on the hygiene wouldn't hurt. As I am a regular here I informed the reception about this and they promised to take care of this for sure. The hotel is completely outdated with decor and amenities. I immediately found hair in the bathroom when I arrived. The next morning I found the bathroom infested with roaches (I counted around 7 crawling on the bathroom walls, including in my belongings). The hotel staff was not helpful at all. In fact, concierge watched me struggle with my luggage through the door way and just pointed me to the front desk when I asked for direction. For breakfast all the morning staff was incredibly rude and literally ignored me after standing there asking for help for at least 5 minutes. I don’t expect a red carpet rollout but a proper greeting, comfort and cleanliness is the least you can offer, no matter how much you’re paying to stay. Hate to be harsh but I would not recommend this place. Pool needs an update. Pool steps are dangerous in my opinion. Great location good price staff all polite. Staffs.None of them are friendly.All never smile one one lady in reception and one lady in housekeeping.Especially all in restaurant.Not attentive.I have to look high chair my my kid.